Park rangers get all kinds of questions from the millions of visitors Colorado Parks and Wildlife receives each year at our 41 state parks. We also get our share of silly questions such as: "Why do you let snakes live here?" This time of year, when it's cold, our campgrounds aren't as busy and the trails are more peaceful, the question rangers often hear is: "What do park rangers do in the winter?" The answer varies depending which of CPW's 135 full time rangers you ask. It's easy for people to imagine what we do during the traditional summer season, from Memorial Day through Labor Day. They know rangers are a great resource for visitors and we stay busy patrolling and enforcing park rules so everyone has a safe and enjoyable visit. What many don't realize is that in recent years, our "summer" season has lengthened at both ends. These days, we start seeing influxes of visitors in March around spring break and then steady business well into late October. It seems people are getting more and more value from their annual park passes. But some people assume rangers mimic our wildlife friends and spend the winter months in a kind of hibernation. It's true we have far fewer campers and special events. But we stay busy with facility maintenance, construction projects, road repair and other chores that get pushed aside when there are full campgrounds, special events and rescues on land and water. Beyond the chores, park rangers face a variety of winter challenges depending where they work. Take Lake Pueblo State Park where there is always open water, meaning boating and fishing are year-round activities. Shoreline or fly fishing are always popular over the winter when the water level drops. And a surprising number of people take boats out on Lake Pueblo to fish in the winter. At the Arkansas Headwater Recreation Area in Chaffee County, river rangers get a breather as rafting companies shut down for the winter. But the area is also a great place for fly fishing in winter, keeping the rangers busy. Steamboat Lake State Park is a great example of a year-round facility. There is fishing, boating and camping all summer, with excellent snowmobile, snowshoe and cross-country trails in the winter. 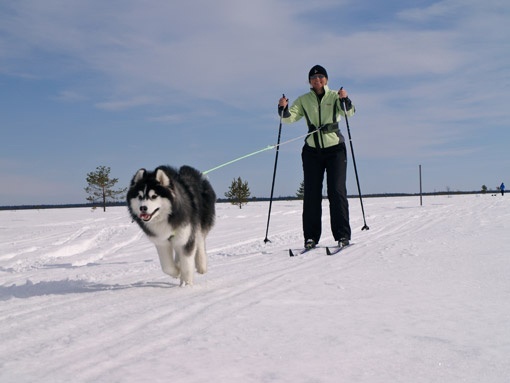 You can even try your hand at skijoring with your dog. Before heading up, you can find vendors that rent most snow equipment and clothing. Beyond the work we do in state parks, rangers patrol snowmobile trails all over the state. You can find us on most of the popular public trail systems checking for safety and equipment concerns and assisting with stuck sleds or making rescues. Most parks have winter camping of some sort, but you should always check the website for availability and make sure your gear is appropriate for the weather. Remember, our weather can changes from hour to hour so please be prepared regardless of your choice of winter fun. As for me, I am luckier than most. Because Cheyenne Mountain State Park is adjacent to Colorado Springs and our winters are mild, I get a true variety of winter activities thanks to Mother Nature's affinity for changing the weather in a snap. I participate in snowmobile patrols in other areas of the state, and come "home" to do school programs, trail work and may even plow the road into the park. So the short answer is that we do not hibernate in winter. Perhaps most important is our work improving trails, modifying campgrounds and designing new programs to improve the parks so visitors like you will want to keep coming back. As always, please give me a shout if you have any questions I might be able to answer. 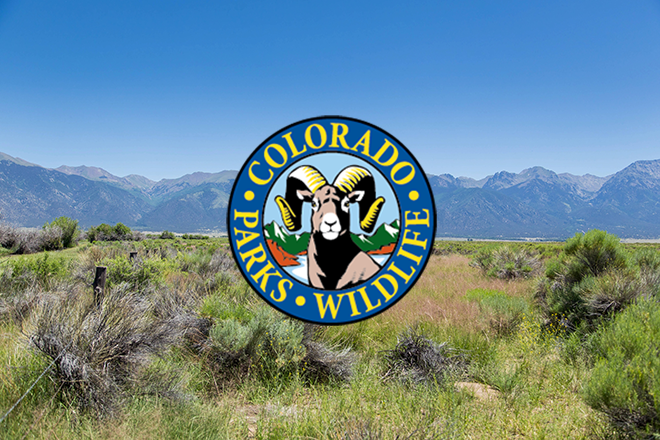 If you have general questions about Colorado Parks and Wildlife, email Darcy at AskARanger@state.co.us. Darcy may answer it in a future column. But if you have an immediate question about wildlife or a state park, please call the nearest CPW office in your community. For CPW office locations and contact information, go to http://cpw.state.co.us/aboutus/Pages/ContactUs.aspx. Photos courtesy CPW. 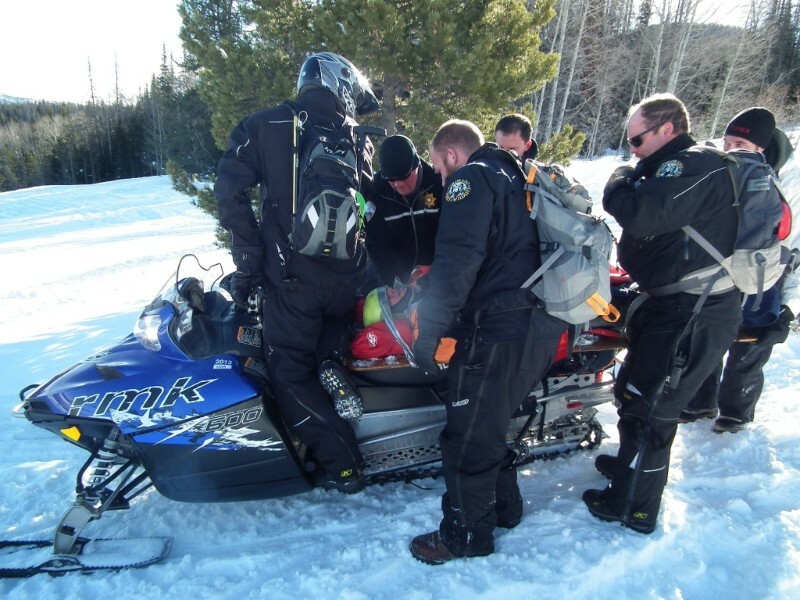 Colorado Parks and Wildlife rangers load an injured snowmobile rider into a stretcher for extrication. Emergency services remain an important duty of park rangers in the winter. A visitor to a Colorado Parks and Wildlife state park goes skijoring with a dog. Making sure visitors are safe is an important duty of park rangers in the winter.